"The friendship between these two California artists is not well-known and their aesthetic common ground is largely unexplored. 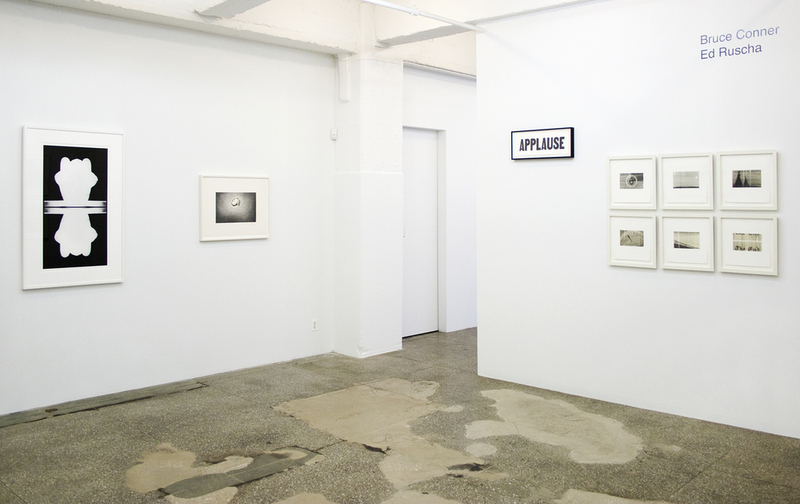 It included a love of fastidious technique, an encompassing approach to mediums (drawing, film, language, printmaking, photography) and a deep involvement with American life. This exhibition takes up the task, with the implication that further excavation would reward." Senior & Shopmaker is pleased to present Bruce Conner & Ed Ruscha: Smoke and Mirrors, an exhibition of graphic works by two towering figures who have occupied the stage in California’s art world and beyond for over fifty years. Immersed in the cultural scenes of the Bay Area and Los Angeles respectively, Conner and Ruscha early on worked across multiple mediums, including film, photography, painting, assemblage, and graphic arts, capturing the ethos of American post-war society. In so doing, they helped define a West Coast aesthetic in visual art. 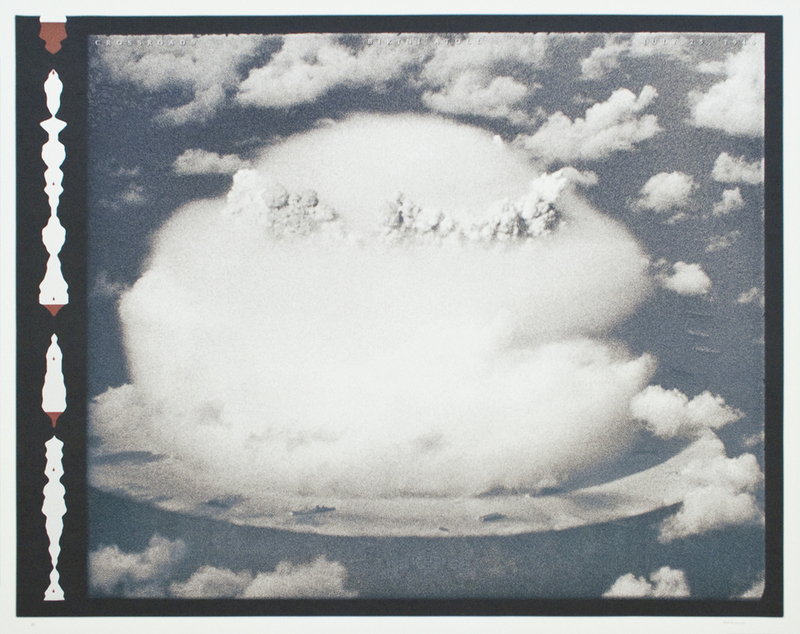 The exhibition includes iconic Conner pieces such as BOMBHEAD and PUFF, which relate to his groundbreaking 1976 film CROSSROADS, as well as prints by Ruscha spanning the last forty-five years. Conner (1933-2008) and Ruscha (b. 1937) each moved to California from the Plains states of Kansas and Oklahoma in the late 1950s, and later developed a friendship through a shared connection to the Ferus Gallery in Los Angeles as well as a circle that included artist/actor Dennis Hopper. The Cold War era, the rise of commercial advertising as a dominant force in American life, and the popularity of Hollywood and American cinema provided the backdrop against which both artists developed their highly original and multi-media iconography. Marcel Duchamp, whose retrospective was organized in 1963 by Walter Hopps at the Pasadena Museum of Art, and who shared a gallery with Conner in New York, had a profound influence on both artists, liberating Ruscha from the conventions of modernist painting and inspiring Conner’s use of different personae as a stand-in for authorship. Included in Senior & Shopmaker’s exhibition are leaf images derived from Conner’s inkblot drawings, which are signed by “Anonymous”, one of Conner’s many alter egos. Ruscha probes the visual and emotive power of words in Pews, a 1970 screenprint made with unorthodox materials such as chocolate syrup and red salmon roe, as well as in a new series, Rusty Signs, in which in the artist’s words “neglected and forgotten signs from neglected and forgotten landscapes” are reproduced in uncanny detail that blurs the line between the fictitious and the real. While Ruscha is often cited for his deadpan humor, his preoccupations with themes such as the passage of time, the nature of perception, and the use of mirror images align with Conner’s. 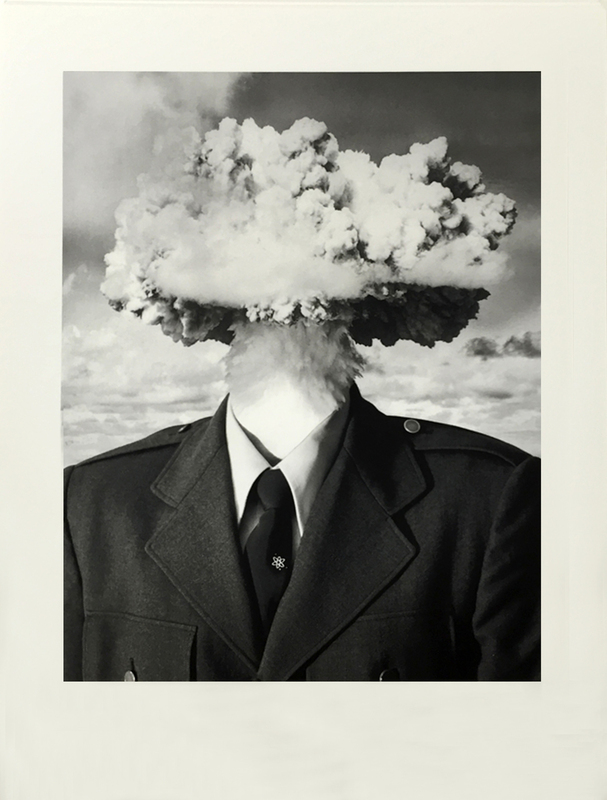 Clock faces, film stills, and silhouettes of figures receding into hazy darkness all resonate with Conner’s stark self-portrait silhouettes REFLECTION and NIGHT LIGHT, as well as with the morbidly beautiful mushroom clouds in his atomic bomb prints. Conner and Ruscha also respond in uncannily similar ways to the rocky western desert landscape. In Ruscha’s Bow-Tie Landscape, 2003 and Conner’s ANGEL WALL, 1976-2003, both artists have superimposed their own hieroglyphic markings onto these surfaces in manipulated digital photographic images. Conner’s work will be the subject of a major retrospective, Bruce Conner: It’s All True, organized by the San Francisco Museum of Modern Art and co-curated by the Museum of Modern Art, New York, where it will open in June 2016. Ed Ruscha’s work is currently included in La Vie Moderne, the Biennale de Lyon, France, and in 2016, the de Young Museum in San Francisco will present Ed Ruscha and the Great American West, an exhibition of the artist’s landscapes. For further information, please contact Betsy Senior or Laurence Shopmaker at 212-213-6767 or at gallery@seniorandshopmaker.com.